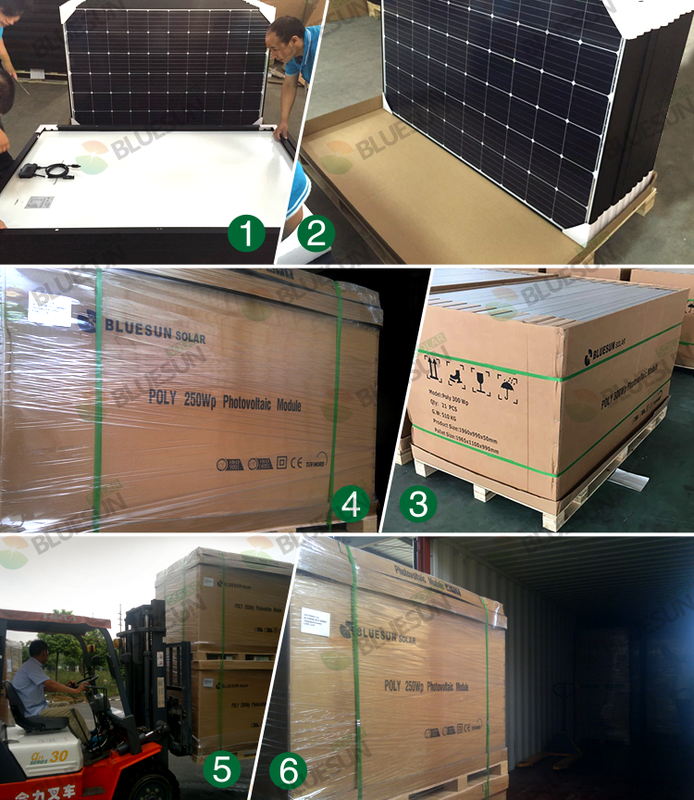 Monocrystalline and 72 cells series solar modules , normal package is 2 pieces per carton , we accept customized or OEM package too. Monocrystalline 350 Watt solar panel and higher efficiency 360 W 370 W solar panel, higher conversion efficiency , higher capacity and power output performance per unit area. Higher solar module efficiency lower solar system cost per watt . If you are an end users , we can offer more detail information to you. So that you can get the satisfied solar power system for your home solar generator solution or factory solar system plant . Any more doubts , you can ask our professional products consultant.